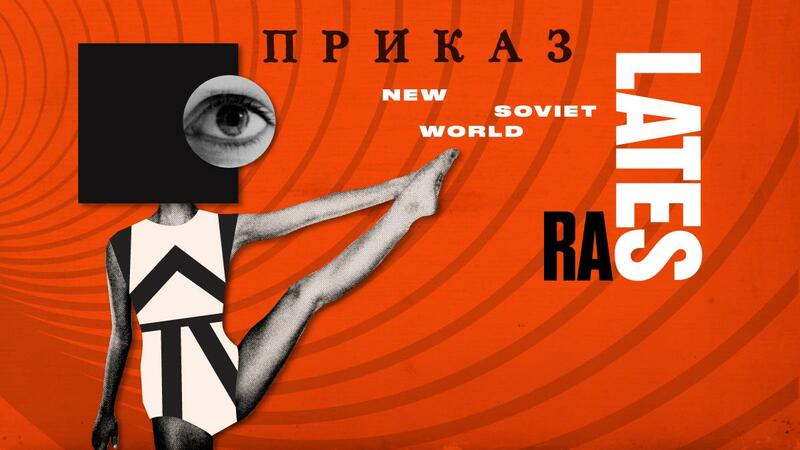 Poster for the New Soviet World party. The famous arts institution invites guests to a costumed Soviet World. The Royal Academy of Arts is hosting a party that will allow guests to experience the futuristic idealism of 1920s Soviet Russia. On Feb. 18, vodka cocktails, collective dining, underground dancing, Soviet utopian theater and art will unite in a truly imaginative evening at Burlington House, situated on Mayfair's famous Piccadilly. The early ambitions of the new socialist Soviet state were informed by Marxist ideology that included a commitment to industry and technological development. Artists such as Kandinsky and Malevich epitomized the optimism of the era. "Despite the dark and turbulent times, an economic revival injected vibrancy into Russian city life," the RA said in a statement. The ticket price includes entry to the Royal Academy's current exhibition "Revolution: Russian Art 1917-1932". Click here to visit www.royalacademy.org.uk.